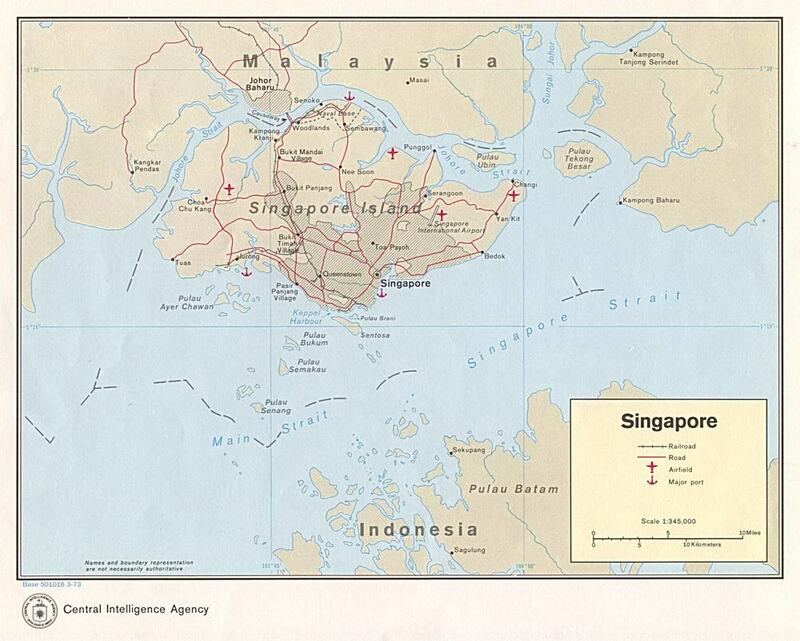 Located in the heart of Southeast Asia, Singapore is a small and beautiful country that many models enjoy working in. The weather is hot year round, the jobs are pleasant, and there is also a good chance to earn money if you fit market demand. Singapore is renown for being a place where models can build a beautiful portfolio due to a large list of editorial clients, as well as very talented photographers. Clients cater primarily to Singaporean consumers, and hire models that Singaporeans can relate to. As such, most clients primarily will hire brunettes, Eurasian models, or “Eurasian looking” models, especially when it comes to commercial work. These types of models – male and female - will find the most success in Singapore and in Southeast Asia as a whole. Blondes can work in Singapore if they are very editorial and have a unique look. They can book runway, presentations, editorials, and events, but commercial work (where the most money lies) is minimal. In addition, the competition amongst blondes is high. Many magazines usually only like to use one blonde model for each issue in order to be sensitive to their target market: Singaporean women. There are a lot of magazines in Singapore so technically there should be enough work to go around for all blonde models in town. However, this is not usually the case: if a model creates a lasting impression on one magazine from a main publishing house, she can end up working for multiple magazines multiple times and have a monopoly over them. If you are a blond model considering a trip to Singapore, look at the boards of all the agencies and see how much direct competition you will have. Agencies and clients in Singapore prefer models (male and female) to be slim. For lingerie and swimwear, proportion is more important than the size of a woman's breasts or buttocks. For female models, a 35" hip is the maximum. If the model is commercial, a 36” hip can work but she must be in great shape in order to compete for the highly sought after commercial jobs. For male models planning to go to Singapore, a 32” waist is the maximum. Any larger and it's not worth their time to go to the market because they won't be able to fit into the clothes and get work. Although clients in Singapore prefer male models to be slim, because of Singapore’s mix of editorial and commercial clients, there are editorial and commercial opportunities for both slim and more muscular models. Just like for female models, the competition for commercial jobs is high so male models must be on top of their fitness. For editorials, Singapore has a preference for younger models but age doesn't play too big of a part as long as the model is slim, in good health, and fits the market criteria. If the model is Eurasian or “Eurasian looking” and has become established in the Singaporean market, they can continue to model regardless of age. They may also have the opportunity to branch out into television, hosting, acting, etc. There are a lot of commercial jobs in Singapore, mostly only for brunettes, Eurasian or "Eurasian looking" models. For the models that fit this criteria, they can make a very good sum of money from doing commercial work. The jobs tend to pay very well as they are often not only used in Singapore, but also in other Southeast Asian markets including, but not limited to, Malaysia, Indonesia, and Thailand. This can lead to very large jobs with buy out potential. Rate: Commercial jobs and print advertisements can vary dramatically in price. Some can be between $1500SGD for a half day shooting to upwards of ($20,000SGD gross) or more for a full day or two days shooting; depending on the client and usage agreements. Contracts with value of ($20,000 gross) or more, are often exclusive contracts. As mentioned earlier, Singapore is renowned for being a great place for a model to build their book. The two main publishing houses in Singapore are Mediacorp and SPH. For most editorial castings, models will be going to either of these two buildings. -Publications under SPH: Cleo, Cosmopolitan, Female, Female Brides, Golf Digest, HerWorld, HerWorld Brides, Icon, Men's Health, Nuyou, Shape, SimplyHer etc. -Publications under Mediacorp: Elle, FHM, Style, Style Men, Style Wedding etc. -Other publications not under SPH or Mediacorp: Alexis, L'Officiel, Nylon, Revolution, Tatler, T3 etc. Note: Certain agencies don't have connections with the two main publishing houses. If you're an editorial model or you want pictures to build your book, it's important to choose your agency wisely. Most tear sheets are also in English as well. Although the international acceptance of Chinese, Japanese, and Korean-language tear sheets has risen in recent years, some agencies and clients worldwide are still not keen on using them. As such, going to Singapore gives models the opportunity to earn European-looking tear sheets without having to invest in European travel. Rate: Editorials anywhere in the world are known for not paying very much. The tear sheets are in and of themselves considered to be payment because a model can use them in their portfolio. Tear sheets show that a model works well and has experience. Good quality tear sheets can also lead to a model booking even more jobs because of those photos. In Singapore, depending on the magazine’s budget and whether it's bi-monthly, quarterly, or even semi-annually, the rate is usually between $200-700SGD per day. Both events and presentations are very simple to do, don't last much longer than a few hours, and are a great way to network. Presentations/Trunk shows are very common in Asia. They are private events for top clients of the company hosting the presentation coming in to see new products that the models will be modelling e.g. jewellery. To some models, working at events may initially come off as tacky. These jobs can include attending the opening party for a new hotel, greeting entrants at a door for an upscale event etc. What many models don't know is that events bookings can pay upwards of $500-1000 SGD per event. Events are often only a few hours and are fun social events that can help a model pay off their expenses quickly. Depending on the job, these events may also offer networking possibilities. Note: Events do not include working at a club. That is promotional work, which is not usually deemed acceptable by a legitimate modelling agency. Models should exhibit caution if they choose to engage in such activities. Rate: The rate for an event depends largely on the client and your agency. A rate for an event can be upwards of $1000 for the day. Presentations start at around a $500 SGD minimum per day but are often more. Singapore has two fashion weeks: May and September. Designers such as Chanel and Cavalli have shows held during SGFW, as well as local designers. Runway models can make a good sum of money during SGFW depending on how many shows they do. When fashion week is not on, there are still some runway shows happening as well as events, presentations, and trunk shows. Rate: Runway shows start at around $400 SGD minimum per show but can be more depending on the model, their agency rate, and whether the designer is local or International. The following list is to work as a guide for other models to get an idea of which models have done very well in the Singaporean market. This way, they can get a rough idea if their look is suitable for the market. Although these models have found success in the market, the modelling industry is unpredictable; just because a model does well in a market once doesn't necessarily mean they'll do well there again. Timing, luck, and “looks of the moment” are large indicators of a model's success. Apart from those models who have done well in the market, there are those who have been shot into stardom. With the great clientele and talent in the country, Singapore has a reputation of being able to help launch a model's career. Sigrid Agren, Monica 'Jac' Jagaciak, Coco Rocha, Melissa Tammerjin, are just some of the models who have gone on to top model rankings. Below is a list of all the agencies currently active in Singapore. The list of agencies has also been divided into categories that may help models make an easier decision when choosing an agency. Note: The Business Model does not necessarily endorse or promote any of the above agencies. The following list is to serve as a directory so that models may be aware of the current active agencies in the market. Before signing with any agency, TBM encourages all models to read contracts carefully. Models take the metro (subway) or the city bus in order to get to castings or jobs. Singapore is an incredibly small country so getting around is very easy. Unlike the intimidating metro line in London (UK)' the Singapore metro (MRT) is simple to navigate as there are only four lines. Models can purchase an MRT card from most metro stations and put any denomination on it. Fifty dollars per week, depending on your number of castings, is usually a sufficient amount. Be sure to write down the number of your MRT card in case of theft or loss. This way, the MRT officials can cancel the card and give you a new one with your correct balance on it. Taxis in Singapore are relatively cheap and the meter starts at about $3.00 SGD. Even though the cost is inexpensive, Singapore's population increases largely each year - mostly due to expats - so be prepared to sit in traffic for a while during peak hours! Note: When you're waiting for a bus or if you're trying to catch a taxi, you'll need to hail it down by waving your arm. If you don't flag the bus down it won't stop for you even if you're at a designated bus stop. Be nice - Singaporeans tend to be very kind people so it's important that you are polite in return. Singapore is a very small country and the fashion industry is even smaller. If you're acting rude or like a diva, word spreads fast and it could easily do permanent damage to your reputation in the market. Models who are professional and polite are easy to work with – and to rebook! Punctuality - Although this applies to all markets, due to Singapore's small size, word of your tardiness will be noted by industry professionals. If you're new to a market, leave your apartment an extra half hour than normal to make room for error so you'll arrive on time. For example: Daniel Boey is a veteran in Singapore's fashion industry and a head casting agent for the top runway shows. He doesn't tolerate models being late. If a model is late, he will no longer work with them for any future jobs. If the model does a lot of runway, this could be a very big problem for them as they could lose out on a lot of money. Everyone makes mistakes and sometimes you will be late due to factors beyond your control (Broken down bus, subway car etc.). If this happens, call your agency immediately so they can notify the client that you'll be late. Be a professional. Everyone makes mistakes and accidents happen - just don't make it a habit! Singapore is home to many talented photographers, some of which have received critical acclaim worldwide. These include, most prominently, Wee Khim, Chuando & Frey, and Ivan Ho Harlim. They have had their works featured in Harper's Bazaar, L'Officiel, Designare, and many others. Although going to the Singapore market does not guarantee that you'll work with one of these photographers, the opportunity does exist. Aside from the larger names, Singapore also has many other talented but less world renown photographers such as Kevin Ou, Ivan See, David Tan, Milan Rosario and many others. Singapore is also filled with young, creative, and promising talent. Many of these aspiring fashion photographer attend LaSalle; the most prominent art and design college in the country. Some photographers attracting attention are Fadli Rahman and Khairil Osman. Expenses Advanced: Yes. Agencies in Singapore will advance a model's accommodations and airfare if they're requested. Because airfare for models from Canada or the United States is high, agencies in Singapore are usually apprehensive to take them on because the financial risk for them can be high. Many models often fly to other parts of Asia first for work and then go to Singapore afterwards as the cost of airfare is significantly reduced; also lowering the model's potential expenses. For example, a one way ticket from Hong Kong to Singapore is around $100 CDN on a budget airline e.g. Tiger Airways. If you're already in Asia, it's encouraged for models, especially those looking to develop a book, to discuss their options with their mother agency and consider going to Singapore. In addition, some agencies don't advance weekly pocket money so models will have to bring their own money for personal expenses e.g. food, travel fare etc. Offer Guarantee: No. Unlike China, Japan, Korea, or Taiwan, Singapore does not offer models a guaranteed contract. Singapore is not able to offer guaranteed contracts because although it's a good market, they don't have nearly as many clients and jobs available like in Tokyo or Shanghai; as such, they cannot guarantee models enough work. Even though agencies in Singapore don't offer models a guarantee, models shouldn't be deterred from working in the market. They can still earn good money and/or get tearsheets, both strong enough arguments as to why Singapore should be on a model's radar if they're interested in going to Asia. Almost all clients in Singapore speak English and English-speaking models will have little to no problem in communicating with clients and locals. The model apartments in Singapore, for the most part, are quite nice and come equipped with a pool. Which definitely comes in handy in Singapore's hot and humid climate. The apartments are generally quite spacious but up to 7 models can share an apartment a time. In such cases, the apartment does come with two bathrooms but models should be courteous of one another! People: Singaporean people are generally very friendly and warm towards foreigners; especially because it's home to a large and ever-growing number of immigrants. If you're ever lost, most locals are more than willing to help, so feel free to ask for directions. In some situations, locals will even take the time out of their day to walk you to the nearest MRT station or street that you need to be at!